Thank you for taking the time to join us here at Pacific Saw and Anvil. We are a small Blacksmith shop located in Northern California. We specialize in fireplace tools, barbecue sets, and functional art for the home. 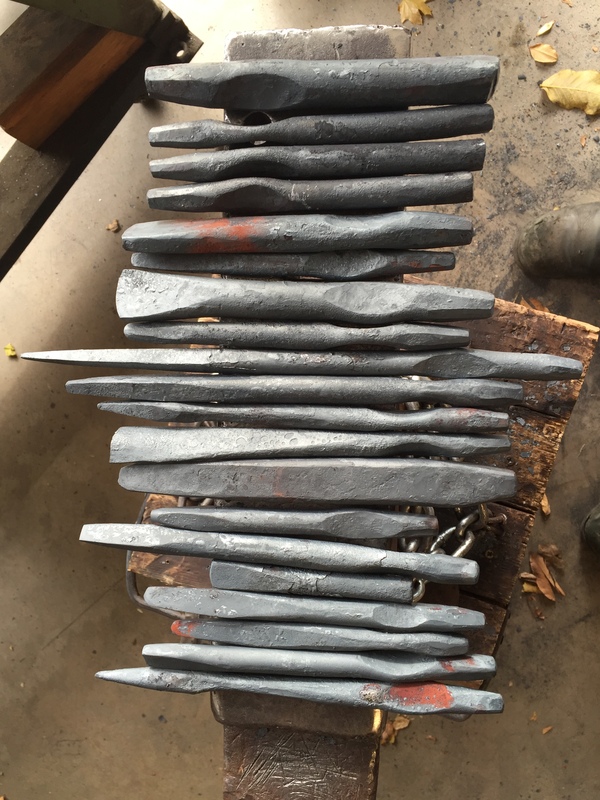 We use traditional blacksmithing techniques, as well as modern tools to make each piece unique and of the highest quality possible. We are proud to be producing American made products for the whole world to enjoy. There is a certain pride in craftsmanship that can only be achieved by forging each piece of iron separately and cutting every piece of wood individually. Our Blacksmith, Than King, is an active member of the California Blacksmith Association. He has been working with metal since he was a young man helping his dad on their family farm. Than prides himself on creating usable works of art and custom tools to be used both inside and outside the home, and in the shop of course. We hope that you enjoy following Than’s blog as he journeys through the world of metal craft. Our products are available on Etsy; we also accept purchases via PayPal. We love helping people create custom work, we are always open to new ideas. Please contact us at pacificsawandanvil@gmail.com.